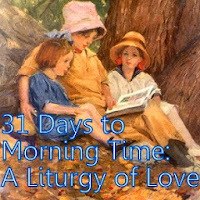 Morning Time Moms: Plutarch: Why? Our family came to enjoy reading Shakespeare together after years of longing. It was a heart’s desire that became a reality over time. Not so with Plutarch and his Lives. When I first read how some Charlotte Mason Cottage Schools (PNEU) in Britain read Plutarch’s Lives in class I barely gave it a thought. One reason was my own dismal education. Plutarch who? It took many years of hearing the name and the book mentioned before I had the faintest stirring in that direction. To tell the truth I wasn’t ready to appreciate the author at all. 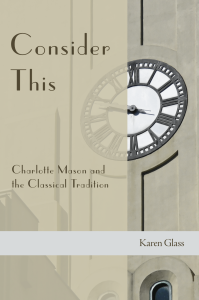 But as time went by, I began to trust Charlotte Mason and her ideas; this inevitably led to reading Plutarch’s Lives aloud to my children. My first faltering attempts to read Pericles, one of the Greek lives, were tarnished by my own inability to read long sentences correctly. When it comes to long sentences Plutarch beats Thomas Jefferson hands down. Over time I began to get the hang of it and now I find it an absolute joy to trip through phrase after phrase of Plutarch’s long thoughts. This density of thought makes Plutarch perfect for short readings, appropriate for homes and schools. Our students benefit from hearing these long sentences; their minds are forced to attention and they begin to absorb the purposes of the English phrase. I say English because, at least around here, we generally read Arthur Cough’s revision of John Dryden’s translation. The old PNEU schools used Plutarch to teach citizenship. Certainly, we find ourselves in need of teaching citizenship in these dark days. Plutarch can provide us with a way out of the red state/blue state divide into the clear air of individual responsibility and the consequences of ideas. Reading Plutarch is an excellent tool for training the judgment. The book is set up to compare the lives of the Greeks and the Romans, alternating between them. Children “learn to answer such questions as,--"In what ways did Pericles make Athens beautiful? How did he persuade the people to help him?" And we may hope that the idea is engendered of preserving and increasing the beauty" (185). “Plutarch is like the Bible in this, that he does not label the actions of his people as good or bad but leaves the conscience and judgment of his readers to make that classification. What to avoid and how to avoid it, is knowledge as important to the citizen....” (187). This is a beautiful thing. When presented with the facts, children allowed to come to their own conclusions will be forced by nature to make their own judgments, thus developing their consciences in ways that cannot be easily uprooted. Long sentences, citizenship and judgment are hefty reasons for persevering as a teacher in learning to read aloud Plutarch’s Lives in a quality translation. In our family, I read one or two of the long paragraphs a day stopping along the way frequently to discuss the meaning of the vocabulary or to deconstruct a sentence, figuring out what is being said. It can be a fun exercise almost like doing a group puzzle. The Lives do not need to be rushed; we usually read only 3 a year. Take your time and enjoy the ramble. They are not the type of book you read through once and call it a day. The greatest profit is gained by a lifelong friendship with the work. Tomorrow I will link to more resources for using Plutarch and explain in more detail how I go about reading Plutarch. Plutarch is not easy but I can now say with Charlotte that it should not be skipped.